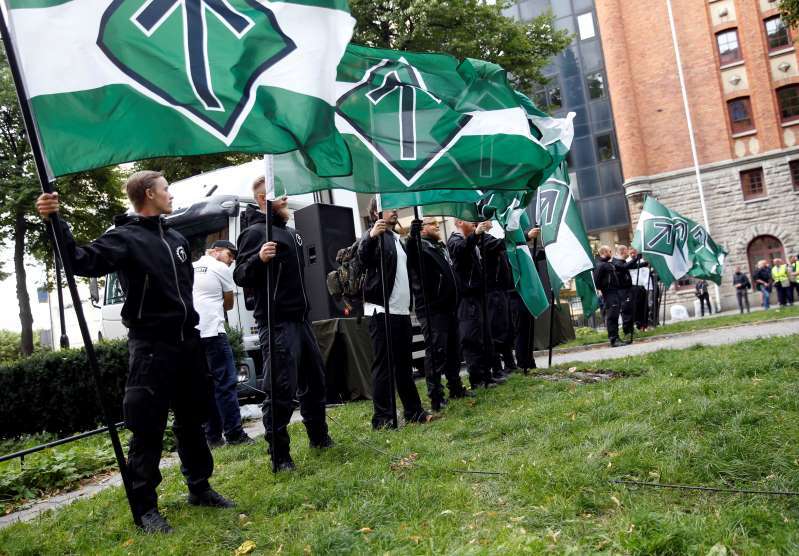 More than 200 supporters of the neo-Nazi Nordic Resistance Movement have staged a rally in the Swedish capital, chanting slogans and waving the group's green-and-white flags. A six-hour rally was approved by Swedish police, who deployed a strong security presence around Stockholm's Kungsholmstorg Square. But after just a few hours, the crowds wilted and a march was canceled. The neo-Nazi group is anti-European Union, anti-gay and anti-immigration. The rally took place ahead of Sweden's Sept. 9 general election, in which immigration is a key issue. The neo-Nazi march was among dozens of events held across Stockholm on Saturday, including an animal rights' march that drew 500 people.